Is teeth-brushing time with your kids a daily battle? Say no more, Super Mom! We’ve come to the rescue. Introducing your new Bathroom Bestie, the toothpaste with the taste that keeps kids brushing, Jordan Kids Toothpaste. 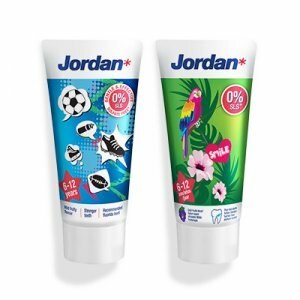 Jordan has just launched an exciting new series of toothpastes specially formulated for each stage of your child’s dental development that will make teeth-brushing time a breeze. 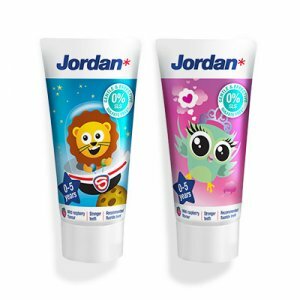 Jordan Kids Toothpaste 0-5 years has been specially formulated for milk teeth while Jordan Junior Toothpaste 6-12 years contains the right ingredients for those much-anticipated permanent teeth. Yes! We’ve put it to the test so you can rest assured that it doesn’t just taste the part. That’s right, no nasty ingredients and the precisely right amount of fluoride for your child’s specific stage of dental development. What makes Jordan such a foolproof Mom Hack is the mild, raspberry and fruity flavour that is SLS and sugar-free. Kids love the flavour of Jordan so much that getting them to brush for the full two-minutes has never been easier! We’ve got a cavity-fighting battalion of eighty families strong putting Jordan Kids to the test to prove why #KidsLoveJordan.